A perfect home for family gatherings! This spacious house is centrally located...you are within walking distance to one of the most popular beaches, Pismo Beach, but you are away from the noise. 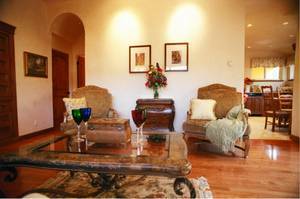 Findvacationrentals.com is one of the largest online sources for your next Pismo Beach California . Search for your dream or in Pismo Beach California, check availability, check rates, get in touch with the owner directly, and book your home away from home near Pismo Beach today! Interested in More Pismo Beach, California ? Check out nearby Cambria, Carpinteria , Grover Beach , Nipomo , Santa Barbara , Ventura.